The first robot to walk the earth was not created in the MIT Robotics Lab or for the big screen in the 1920s film Metropolis. Instead, a giant bronze robot called Talos was fabricated by Hephaestus, the Greek god of invention. More than 2,500 years ago, Greek mythology was exploring ideas about creating artificial life—and grappling with the resulting still-unresolved ethical concerns. How did ancient Greek, Roman, Indian, and Chinese myths imagine artificial life, automata, self-moving devices, and human enhancements? Join us at this special event blending history and science! 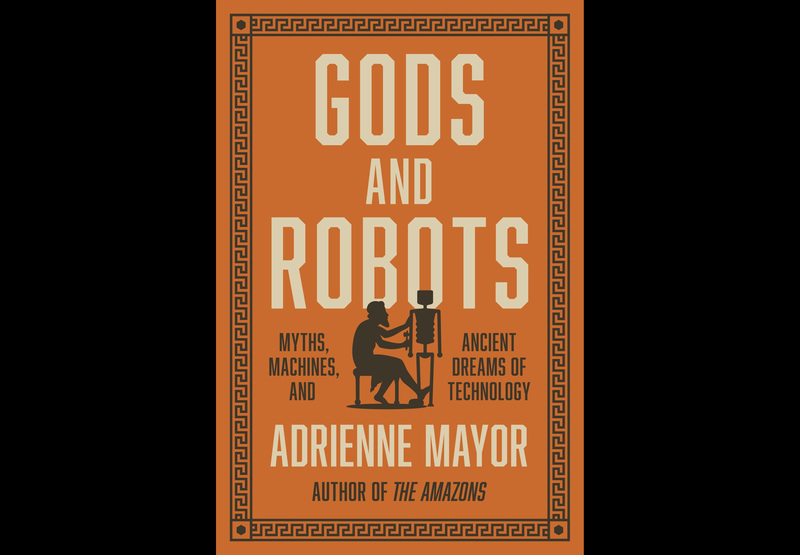 Adrienne Mayor, research scholar in classics and history of science at Stanford University, will talk about her new book, Gods and Robots. She will guide you through how ancient myths envisioned automata and androids—and how these visions relate to ancient inventions of real animated machines. She will share accounts of the earliest expressions of the timeless impulse to create artificial life and reveal how some of today’s most advanced innovations in robotics and artificial intelligence were foreshadowed in ancient myth—and how science has always been driven by imagination. Come experience mythology for the age of AI. Mayor is the author of The Amazons: Lives and Legends of Warrior Women across the Ancient World and her work is featured on NPR and BBC, the History Channel, the New York Times, Smithsonian, and National Geographic. Mayor’s fossil legend research is featured in the National Geographic children’s book The Griffin and the Dinosaur. She is currently a Berggruen Fellow at Stanford’s Center for Advanced Study in the Behavioral Sciences.